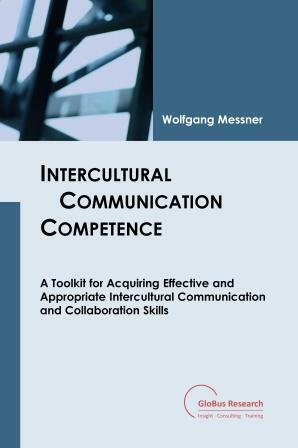 Developing competence in intercultural communication is a process. During a series of trials and errors, insight is developed, assumptions are drawn, tested, and verified. 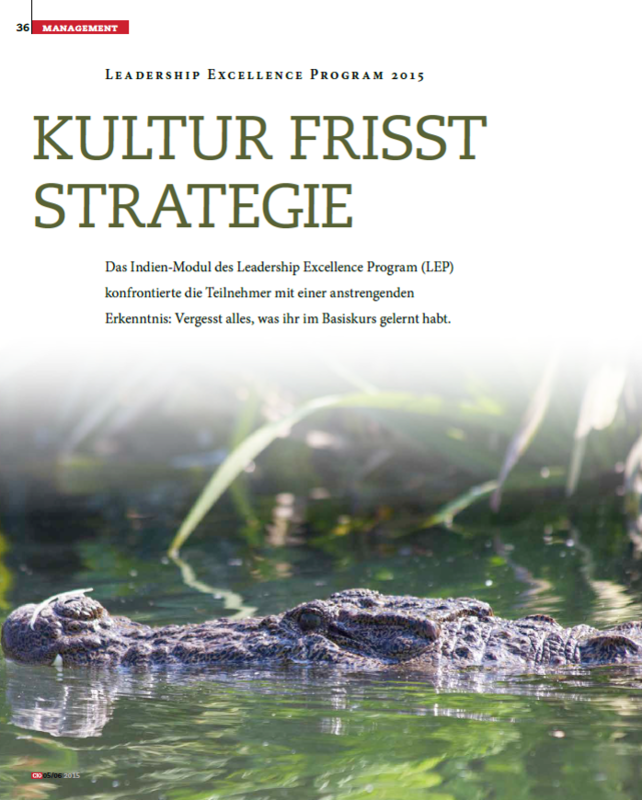 Based on his unique combination of executive international business experience and intercultural research expertise, Professor Messner can help to kick-start this process in your organization, and make it a sustainable effort. He knows the ground reality of business and culture in diverse places like US, UK, Europe, and India. Useful guidelines for expatriates, business travelers, and desk diplomats. The most common intercultural training request is for country-specific preparation. Based on his very own executive international business experience, Professor Messner is delighted to offer this training for Germany (and other Central European countries), India, US, and UK. Building a multi-cultural mindset for working in global teams. Country-specific intercultural trainings are useful, but they can only cover a very limited set of specific situations. Intercultural intelligence is a multifaceted culture general form of intelligence that is related to effective intercultural interactions in a variety of cultures and situations. Rescuing a situation, being a sparring partner, or building a true multi-cultural team. Building cohesive multicultural teams means building success. But managers, in far too many cases, simply brush off cultural issues, because they are difficult to define or to measure, and at times delicate to talk about. Only if everyone faces up to cultural differences, can the cultural divide be bridged, and stronger multinational teams emerge. Globalization has put India at the world's center stage. But when project teams from Western cultures first come into contact with their Indian counterparts, prejudices against the new and unknown typically amplify. It does not really help that intercultural trainings are rarely conducted in India. In empirical research in India's export-oriented offshore services sourcing industry, Professor Messner found that only 4 percent of employees across the organization had ever attended any form of intercultural sensitization programs. And yet the exactd same people interact on a daily basis with their Western colleagues and customers. And so this country-specific intercultural training on India improves corporate effectiveness by increasing cultural sensitivity, building intercultural intelligence, and acquiring appropriate intercultural collaboration skills. It drastically decreases the risk of project failure. Best taken in the early stages of a project with India, but better late than never! Professor Messner knows India, her cities and villages, her people and their culture, her economy and industries. Starting with a first business trip to Bangalore back in 1997, he subsequently spent a total of 8 years on the subcontinent as program manager for Deutsche Bank, as offshore delivery director for Capgemini, as professor at MYRA School of Business and the Indian Institutes of Management Bangalore, Indore, and Kozhikode, and as an entrepreneur consulting to a variety of Indian and multinational companies. Professor Messner knows the ground reality of living and working in India. Identify the organization's problems and objectives in a needs analysis. What goals can be attained? Define the content of the training and learning outcomes in a task analsysis. What should the training cover? Identify the training's target group in a person analysis. Who should be trained, and on what exactly? Building cultural intelligence, positive attitude, confidence, and intercultural communication competence. Achieving long-term learning commitment, because intercultural communication is a process of trials and errors. Understanding that there is a lot to experience and learn after the training. Using models as a helpful starting point, but at the same time helping participants depart again from nationalized generalizations. Globalization has put India at the world's center stage and when project teams from Western cultures first come into contact with their Indian counterparts, prejudices against the new and unknown are typically amplified. But offshoring to India, producing in India, buying from India, or marketing to the Indian consumer requires appropriate intercultural communication to be effective. 1-2 days, 10-15 participants: Videos, audios, pantomime play, group and individual exercises, case studies, group discussions, short presentations. Perceptions as a source of misunderstandings; AID model to avoid such pitfalls. Iceberg model of culture, role of cultural pre-programming, value systems, and difference between individualistic and collectivistic cultures. Cultural dimensions (Geert Hofstede and GLOBE), their use and misuse. Monochronic vs. polychronic time personality (Edward Hall). Recognizing cultural differences in communication (low- vs. high-context); effect on meeting style and agenda vs. relationship orientation. Positive vs. negative feedback; cultural effect on team motivation. Fostering innovation and initiative in the Indian team. Country overview India; significance of family, religion, and caste system. Selected aspects of social and business etiquette. State of the Indian economy; role of the services sourcing industry. 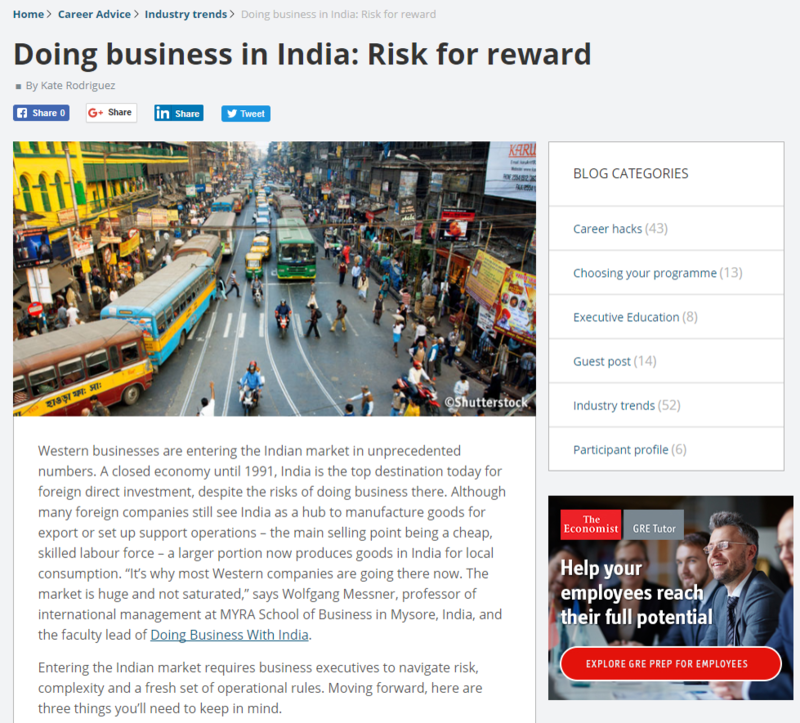 Career management in the Indian business environment. Professor Messner has developed proprietary training material and workbooks to support the learning in his trainings. These workbooks are also available in online bookstores for you to use independently. His aim is for you to become knowledgeable and confident in handling cross-cultural encounters. This resource book is an intercultural toolkit and compares 50 national cultures on their cultural dimensions. It further gives specific information on China, Egypt, France, Germany, India, Italy, UK, and US; the book also features 24 tasks, exercises, and case studies. India is a highly complex, competitive, and at the same time immensely attractive market. But there is a substantial difference between products that sell in the developed world and products that will excite customers in India. Based on actual experiences of Indian and foreign businesses on the subcontinent, we have identified five commandments that, when followed, differentiate successful firms from failed initiatives. The chief executive officer of Daimler Trucks and Buses China Ltd. was on an expatriate assignment in China. In November 2016, he faced a discomforting situation that could bring an abrupt halt to his career; an unfortunate incident in which he lost his temper led to fierce outrage in local Chinese and worldwide media. The media reaction threatened China’s prominence as a major source of revenue for Daimler, and sent Daimler’s share price on a downhill spiral. How should Daimler react, and what could it do to restore the company brand image? Since India opened herself to global trade in 1991, the country's automobile industry has experienced tremendous growth. Multinational car manufacturers had to acclimate to the local market environment and make an effort to understand the needs of their new customers. The experience of Renault, the French multinational car company, in India exemplifies the process of understanding and adapting to market segments. Renault's initial unsatisfactory release of the Logan was overcome with Renault's subsequent launches of the Duster and Kwid. This comeback demonstrates how learning and adapting to local needs can lead to success in emerging markets, and to recovery of brand image lost from prior setbacks. India's automobile industry has recently seen an increase in internationalization. However, crash tests performed in 2017 by the Global NCAP on cars built in India for the Indian market identified numerous models with failing scores and an astounding lack of what are today regarded basic safety qualities. This case examines the interplay between foreign firms, local consumers, and government regulations. Taking the Duster and Kwid as examples, two popular car models in India manufactured by the French multinational automobile company Renault, it allows students to think critically about differences in consumer needs, values, and standards, along with business ethics in an emerging market. South Korea is a dynamic country that has experienced very rapid economic growth, transitioning into a leading world economy in only a few decades. This tremendous change has led to a dramatic increase of international business exchanges with Korean companies, yet the complexities and cultural elements of the business environment in Korea are very different from those of a traditional Western-style business. Using cultural insight and real cases of Korean and foreign business exchanges, we have established some critical factors that one must understand in order to be successful in South Korea. The intercultural training space is filled with a wide variety of trainers; the barrier for entry is relatively low. There are certifications, but none are universally accepted as a standard. And so the field is largely filled with amateurs. Many companies are puzzled about how to best select an intercultural trainer. Ability to distance oneself from the target culture. This may not, in fact, be a target country national. In some cultures, speaking openly and honestly about one's own country to non-nationals is difficult, especially if problems need to be addressed. Culturally correct, relevant, and up-to-date information about the target culture. The trainer should have lived and worked in the target culture for several years. For some of the emerging markets, this in-country experience has to be quite recent. Being a target country national is not necessary for providing accurate and unbiased information. Solid academic grounding in the theories and frameworks of intercultural communication. However, the trainer should not exclusively rely on one framework (e.g. the Hofstede dimensions); such a training approach is akin to nationalized generalization, overly simple, and outdated. Teaching and training pedagogy to aptly mix theory with applications, lectures with activities. An intercultural training is expensive. So, are there any real alternatives? Organizations need employees who can successfully do business, interact, and behave in different cultural environments. They need individuals who are trained for cultural intelligence, rather than people who merely possess knowledge about a different culture. There are lots of ways to gather information about other countries and cultures, like reading a book, watching a YouTube clip, or doing a self-assessment with a tool. Some of these are quite entertaining, many contain only partically correct information. Most show an unfortunate overreliance on a totally outdated practice of squeezing different cultures into seemingly neatly separated containers. For example, administering a cultural self-assessment and comparing the respondent's cultural preference to the Hofstede dimensions is such a common methodological mistake that it has its own name - ecological fallacy. What is more, all these are venues of information gathering about countries, but not opportunities for developing cultural intelligence. Only a real training or coaching session allows for interaction through questions and answers, and an exploration of how information about another country and culture can be applied to a business context and personal situation. This allows individuals to competently and confidently act in new and unknown situations. And India's cultural diversity has a whole lot of such situations to offer.